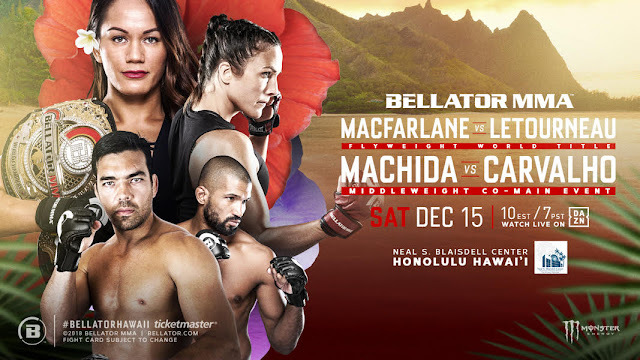 LOS ANGELES – The Neal S. Blaisdell Arena in Honolulu, Hawaii will host the homecoming of Ilima-Lei Macfarlane (8-0), as she puts her undefeated record and Bellator women’s flyweight title on the line against No. 1 contender Valérie Létourneau (10-6) in the main event on Saturday, Dec. 15 LIVE on DAZN. The monumental event marks Bellator’s first trip to Hawaii and the first major MMA show to be held there since 2008. In addition, Bellator Hawaii will also feature the promotional debut of Lyoto Machida (24-8), where he is welcomed to the Bellator cage by former middleweight champion Rafael Carvalho (15-2). Also, the first-round of Bellator’s Welterweight World Grand Prix rolls on when two undefeated 170-pounders, Neiman Gracie (8-0) and Ed Ruth (6-0), square-off for a shot at the world title against the winner of Rory MacDonald vs. Jon Fitch in the semi-finals. The card will air exclusively on DAZN, the world’s first truly dedicated live sports streaming service, at 10 p.m. ET/7 p.m. PT. Tickets go on sale this Friday, Sept. 21 at 12 p.m. HT and can be purchased through Bellator.com, as well as Ticketmaster.com. A special presale will take place the morning of Friday, Sept. 21 from 9 a.m.-12 p.m. HT. Fans can sign up for DAZN for only $9.99 per month – following a one-month free trial – by registering at DAZN.com or by downloading the DAZN app on a wide range of connected devices, including smart TVs, PCs, smartphones, tablets and game consoles. For more information, fans can follow DAZN’s U.S. social channels: @DAZNUSA on Facebook, @DAZN_USA for Twitter and DAZN_USA for Instagram. A native of Honolulu, current Bellator women’s flyweight champ Macfarlane made her pro debut in 2015 with a KO victory that went viral and has not looked back since, remaining undefeated in her career. With impressive victories over Emily Ducote and Jessica Middleton, “The Ilimanator” earned a shot a Bellator gold at Bellator 186 in a rematch with Ducote, winning via submission. Most recently, she defeated Alejandra Lara and now looks for the biggest win of her career in front of her hometown fans. A proud graduate of Honolulu’s Punahou High School in 2009, Macfarlane later attended San Diego State University, where she would go on to earn her Master’s degree in liberal arts and science with a focus on indigenous issues – a subject she remains passionate about, launching “The Ilimanator Scholarship” for indigenous girls earlier this year. The Canadian-born Létourneau, a former UFC strawweight title challenger, carries an impressive track record of thrilling fights, highlighted by a world title contest against former champion Joanna Jędrzejczyk. Since signing with Bellator, “Trouble” is undefeated after moving up to her more natural weight class, convincingly defeating Kristina Williams and Kate Jackson. At Bellator Hawaii, the American Top Team-product will look to improve upon her 10 victories as a professional, a tally that includes five finishes, with four coming by way of knockout, en route to becoming the next Bellator women’s flyweight titleholder. After signing with Bellator in June of 2018, Machida will make his highly anticipated debut on one of the biggest cards of the year. The former UFC light heavyweight champ, known as “The Dragon,” will step inside the cage for the first time in a co-main event contested at middleweight. The two-division threat, who spends time training in both his native Brazil and Los Angeles, joins the organization on the heels of a highlight-reel KO over Vitor Belfort. 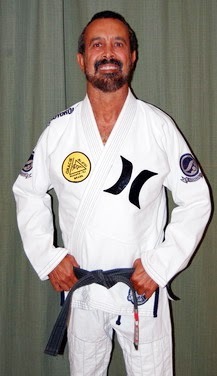 The karate specialist owns notable career wins over Tito Ortiz, “Shogun” Rua, Dan Henderson, Rashad Evans and Randy Couture, and is looking to make an immediate impact on the roster. The always-dangerous Carvalho has his sights set on reclaiming his middleweight world title and it begins on December 15 against Machida. Previously, the Brazilian was riding a 15-fight win streak that included three successful title defenses and victories over Melvin Manhoef (x2), Alessio Sakara and Joe Schilling. Fighting out of Curitiba, Brazil, “The Blessed” has plans to prove that he is once again one of the best middleweights in the world. 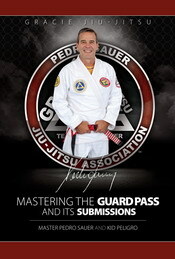 Fighting out of New York City, Gracie has established himself as the next dominant force of the famed family. Following a successful grappling career, the Brazilian jiu-jitsu black belt made his pro MMA debut in 2013 with an impressive performance. With seven of his eight wins coming via submission, the Renzo Gracie-trained fighter is a threat to anyone in the welterweight division. A former three-time NCAA Division 1 National Champion wrestler from Penn State University, Ruth will face the toughest test of his young career when he returns to action on Dec. 15. While boasting an extraordinary wrestling background, “EZ” has finished five of his opponents with strikes. The Fresno, Calif.-based fighter put the 170-pound division on notice following a second round-TKO of his most recent opponent in his welterweight debut. All Bellator Welterweight World Grand Prix on DAZN contests will consist of five rounds. 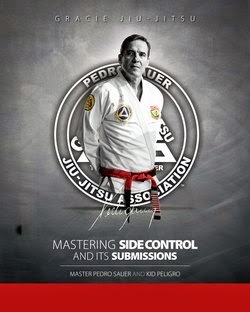 Beginning with MacDonald versus Fitch, each time an athlete enters a tournament bout as champion, the Bellator welterweight title will be on the line, culminating in the Welterweight World Grand Prix on DAZN winner becoming the undisputed Bellator welterweight champion.